Title [School children planting crops in large war garden] [graphic]. 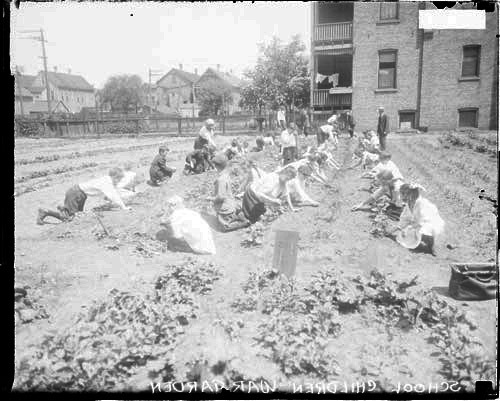 Collection summary Image of school children planting crops in rows in a large war garden in Chicago, Illinois. Supervisors stand above the children and houses and other buildings are visible in the background.